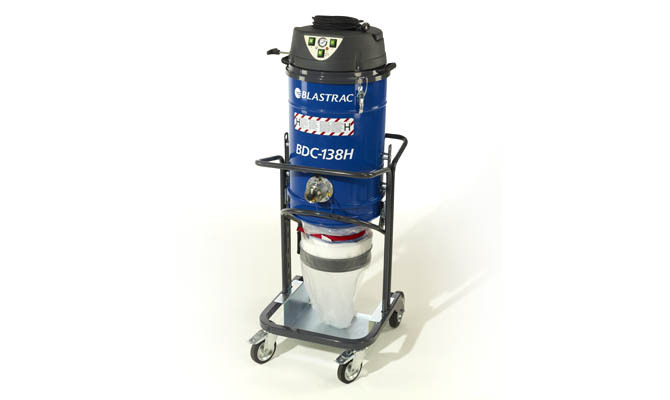 The Blastrac BDC-138H is a heavy duty dust collection system ideal for all types of applications. The BDC-138H is completely HEPA certified which makes it perfect for hazardous materials and jobsites. The BDC-138H is equipped with a Longopack bagging system, which is easy to mount and handle. Thanks to this system, the operators have no more contact with the dust in their direct vicinity, which is better for the environment and the operators health. It is designed for uninterrupted operation on the toughest jobs.